The annual SLIP event will take place in Wynn’s Hotel on Friday evening the 11th at 7.30. The Guest Speaker will be Umaru Fofana a renowned journalist in West Africa and internationally. We look forward to hearing his views on the recent elections and the transition to the new SLPP Government in Freetown. Umaru will also be a guest on Late Debate RTE Radio 1 at 10.00 on Thursday 10th May. 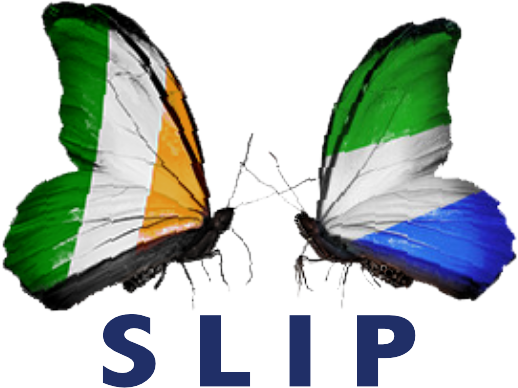 At the SLIP annual Independence celebration you will have time for meeting, greeting, and eating! The cover charge is Eu15. Also time for shopping- beautiful gara cloth will be on display and for sale.